EASTON, PA--(Marketwired - December 14, 2015) - Cigar Advisor, the nation's premiere online cigar magazine, proudly serves cigar enthusiasts with a uniquely down-to-earth perspective on the enjoyment of premium cigars. 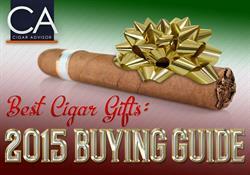 Newly published is a holiday gift buying guide with cigar enthusiasts in mind, titled "Cigar Advisor's Best Cigar Gifts: 2015 Buying Guide." This detailed cigar-related gift guide features over a dozen cigar and cigar accessory selections perfect for the veteran cigar smoker or budding tobacco enthusiast on anyone's Christmas list. "This is a collaborative effort among all of the editors on the Cigar Advisor team," says John Pullo, the magazine's Managing Editor. Together, the Advisors have compiled a comprehensive list of fifteen cigar gifts perfect for what Pullo calls, "smokers of all stripes." Among the choices are in-demand and highly-rated cigars from Oliva, Montecristo, Arturo Fuente and Romeo y Julieta -- as well as Pennsylvania's own Parodi cigars, described in the gift guide as "conveniently stocking stuffer sized." John noted, "They're one of my favorites -- slip a box of 5 Parodis in my stocking, and my Christmas wish comes true." The Advisor-curated guide also focuses on cigar storage, highlighting travel humidors and cigar tubes that are well-made, easy to use, and stylish to boot. Cigar Advisor Executive Editor Gary Korb chose a 15-count Xikar travel humidor: "At under $31, I have enough scratch left over to get some cigars my giftee will really appreciate." "What's interesting about this guide is how we put it together," says Pullo. "I gave each of the Advisors a $100 to spend online... I left it up to them to satisfy three key needs that people looking to gift cigars would have." Among those key cigar gift qualities are useful for cigar enthusiasts of any experience level, and "ones that won't break the bank" -- as each package of hand-picked gifts totals $100 or less. Jonathan Detore, Advisor copywriter, says, "Everyone has a relative or boyfriend who's tough to shop for. These are each an easy solution to a difficult problem." 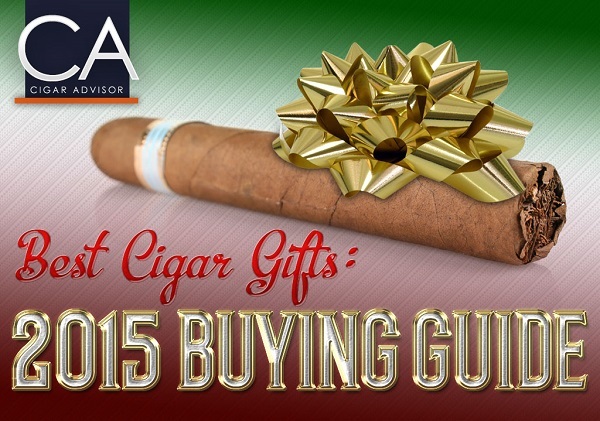 For those in search of a Christmas gift that's likely to please any cigar lover, but who don't want to spend $100 -- the Advisor team recommends that buyers "Take our Advisors' cigar gift picks and go à la carte, choosing the one that fits your friend the best. Major plus: no awkward clothing size questions." The Editors have also included a breakdown of the tasting notes and value features of each gift in their guide. To read it and see the best cigar gifts of 2015, go to CigarAdvisor.com. Cigar Advisor magazine is a digital publication created by, and for, real cigar enthusiasts. The Editors strive every day to accomplish three goals: welcome novices to the hobby of cigar smoking with advice and open arms; share their tobacco-rich lifestyle with good friends and veteran smokers alike; and profess their love for a good smoke with cigar enthusiasts of all stripes, from around the world. Cigar smokers are a passionate bunch -- and whether it is food, drink, sports or cigars they're fanatical about, Cigar Advisor shares those passions with a razor-sharp edge. Find that passion and more on display at www.CigarAdvisor.com.